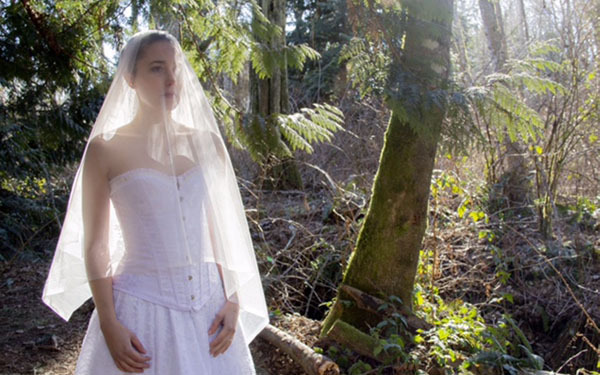 Steven Fogell’s new play, Veil, is a dark adult comedy/drama that reveals the secrets of two families brought together for a wedding. Exploring family relationships, the health industry, and the complexities of confidences, the play opens April 4 at Rolling Bay Hall. Though written over a period of four months, Veil has been five years in the making, with steps including test readings during the process, a professional stage reading, and a workshop production before introducing it to this particular set of actors. And still it continues to evolve in response to the insights of the actors as they come to know and own their characters. 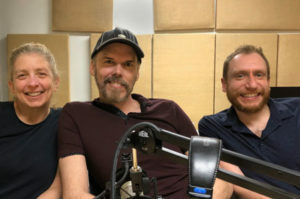 Listen here as playwright Steven Fogell, production and costume manager Dawn Janow, and stage manager Tim Crist give us insight into the long and complex process of writing a play and bringing it to the stage, and share their excitement over this powerful new production. The play opens Thursday, April 4th, 7:30 pm at Rolling Bay Hall and runs for two weekends: Thursdays, Fridays and Saturdays at 7:30 with Sunday matinee performances at 2 pm. For tickets and more information visit Brown Paper Tickets.